What Is A Filterless Humidifier and Do You Need One? 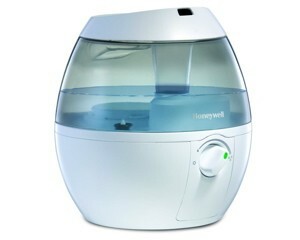 Due to advancement in technology, Humidifiers have become popular. Initially, many people did not like filtered humidifiers because they used to be dirty, unhealthy and it filtered all mineral salts. For this reason, filterless humidifiers were introduced into the market. Many companies today prefer to manufacture filterless models due to its many advantages. Actually, a filterless humidifier has the ability to keep the air moistened and clean at the same time. This feature makes them the best products for consumers. They apply an advanced cleaning technology where it uses electrostatic charge to remove any substance from the water. What Is A Filterless Humidifier? A humidifier is an electronic device that works to put moisture back in the air. This means that it is an essential product to help increase humid in the air to help your skin from drying up, especially during cold seasons. Now, a filterless humidifier work without filters. In other words, unlike the traditional humidifiers that were fitted with filters to keep the mist clean, filterless ones do not have actual filters. Instead, they apply a different technology, where it cleans the mist without filters. They use electrostatic charge to remove any impurity from the mist. All these different types are built for a particular use. The central humidifiers are designed to place directly into your home’s air conditioning unit. It can also be placed in the heating unit as well. The evaporators blow moisture. The impeller humidifiers are considered as child friendly devices, because they emit cool mist. The steam vaporizers are budget friendly. The ultrasonic humidifiers are the same as impeller ones; the only difference is that, they produce cool mist with the help of ultrasonic vibration. What Exactly Does A Filterless Humidifier Do? As you probably know, there is more than one type of humidifier in the market today. However, the basic function of these products is emitting water vapor into the air hence increasing the level of humidity. If is used correctly, it can help you in preventing dry skin, chapped lips, nose bleeding and any other conditions that are related to cold conditions. According to studies, it shows that it can help in reducing some snoring cases. However, even though this products offer many benefits, you are advised not to keep your home too humid. It is advisable to know the required percentage needed on any particular season. Overdoing it will only increase condensation, insects and even molds into your home. Many people do ask this question regularly. Well, the answer truly relies on you as the user. Do you want your body skin moist and smooth? Do you want to prevent chapped lips while you’re at home? Well, if you want to prevent these conditions, you will need to get one. At the same time, these products are considered healthy to you and your family. Owning at least one filterless humidifier is a good move. How Do I select A Good Humidifier? For you to select a good filterless humidifier, you have to do some research. However, before starting with your research, first be sure of what you want. In other words, try to know if you are looking for a product that will service the whole house or a particular room, and if you need to get one that’s child-friendly. Your budget will also play a very big role here. The video explains the difference between a humidifier and vaporiser and gives some tips on how to better take care of young kids in whatever season.